The SupaScoota Sport XL has a longer wheelbase, a weight capacity of up to 21 stone and twin 180 Watt motors for that extra power. Price excluding VAT.(Incl. VAT £2,520) *VAT Relief available on this product. The SupaScoota Sport XL is a great choice for the adventurer who requires that little bit extra. It has a weight capacity of up to 21 stone and a longer wheelbase which provides extra leg room. The 2 x 180W motors give that extra power so that you can use for everyday use or when using off-pavement. With all the features of the SupaScoota Sport, plus a little bit more makes this the ultimate scooter for the adventurer. 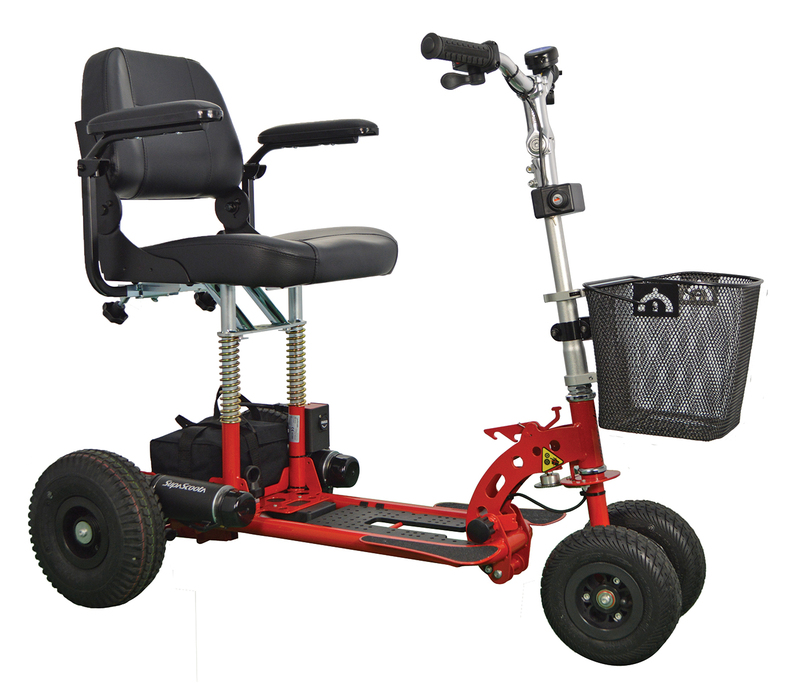 With all the features of The SupaScoota Sport, plus a longer frame for extra leg room and 2 x 180W motors.